Johnston Iowa is a suburb of Des Moines located in Polk County. It was established in 1950 as a railway station between Des Moines and Perry. Johnston didn’t incorporate until 1969 and was named after the railways freight manager John F. Johnston. 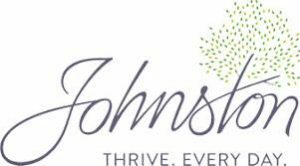 To learn more about the city of Johnston. Compassion Builders works in the Johnston community building Custom Homes Basement Finishing and Remodeling. The photo above is of a job Compassion Builders completed for one of Johnston’s neighbor’s. This was an existing deck that had seen better days. The floor and railings where rotted and the staircase was unsafe. We removed all the old surfaces and the original stairs. New Cedar was chosen for the floor and railings systems for it’s beauty and natural resistance to rot and insects. Black aluminum balusters where chosen to accent the amber coloration of the cedar. We rebuilt the staircase to current building and safety codes. 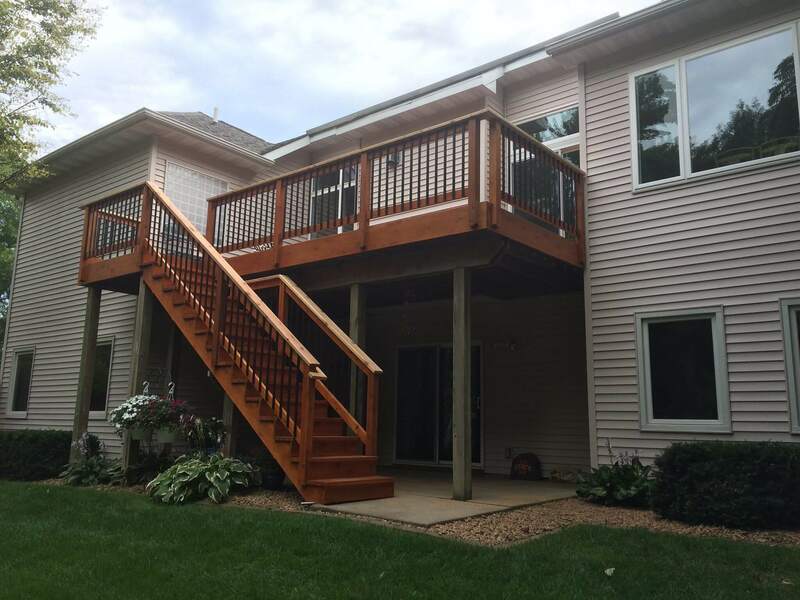 The end result is a deck with a fresh new look and a extended lifespan. Let Compassion Builders be your contractor of choice for all your Custom Home, Basement Finishing, and Remodeling needs.